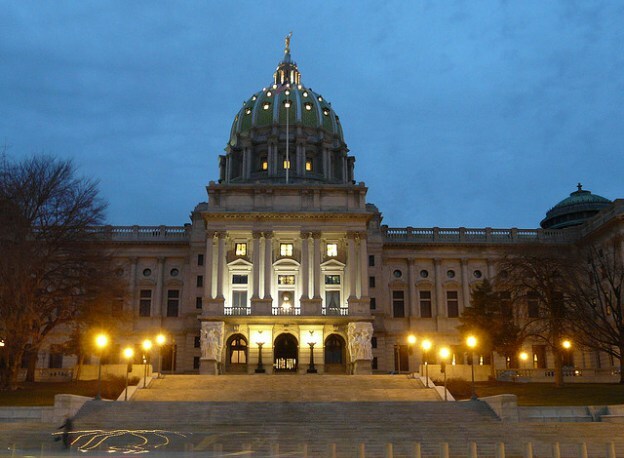 The Basic Education Funding Commission (BEFC) of Pennsylvania has led us all, in Pennsylvania and beyond, to a tipping point for educational equity – if the legislature endorses the BEHC detailed “fair funding” recommendations. The BEFC recommended factors required for fair funding. Eight are included in a proposed formula and eight are recommended for consideration by the full General Assembly. scope and its deep impact on children’s ability to learn. If Pennsylvania addresses this systemic inequity, beginning with an explicit funding mandate in all 500 school districts across the state, it will be an historic action. Childhood trauma is not poverty. Research shows that about half of those living in poverty do not experience trauma. To be sure, poverty does have a myriad of impacts on learning, but they are not necessarily traumatic impacts. Childhood trauma is a response of overwhelming, helpless terror to an event some call adverse childhood experiences (ACEs). The 10 that were measured as part of the CDC-Kaiser Permanente Adverse Childhood Experiences Study include: physical, emotional and sexual abuse; physical and emotional neglect; loss of a parent to separation or divorce or witnessing a mother being abused; a family member who is incarcerated, mentally ill, or addicted to alcohol or some other substance. Of course there are many other types of childhood adversity — including witnessing violence outside the home, living in a war zone, being bullied; experiencing racism, sexism or gender bias. The impact of childhood trauma damages children’s developing brains, and impairs their cognitive and social functioning and ultimately their life trajectories. The children are not bad or sick; they are injured. The neuroscience is compelling. Traumatized kids can’t focus, can’t sit still, and theydon’t understand the social cues of their peers, which can alter their social behaviors in response. Eminently logical defenses in the midst of trauma (hyper-vigilance, dissociation) become ingrained habits, and then destructive, once the threat is extinguished, but the defense pattern remains. A detailed anecdotal narrative called “Danny goes to school” provides insight. Childhood trauma rates vary from 22% to 45+% of children impacted by 3 or more categories of trauma. In many districts the number of traumatized children is greater than English Language Learners (ELL) or those with an Individual Education Plan (IEP). In some urban locations (pg. 17 map) the prevalence is greater than ELL and IEP students combined. Researchers in the U.S. Department of Justice report the scope as massive, “an epidemic”, a “national crisis”, particularly in urban areas. The CDC-Kaiser Permanente ACE Study found that roughly one-fourth of its participants — 17,000 mostly white middle class people living in San Diego — all with jobs and great health care — had experienced 3 or more ACEs. Three or more ACEs is significant because experiencing 3 or more ACEs correlates with doubled risk of depression, adolescent pregnancy, lung disease, and liver disease. It increases the risk of alcoholism by 7 times. There is a 12-fold increase in attempted suicide. Today, trauma-impacted children are still invisible in our educational system. (See “What’s Missing?”) For our understanding of how trauma impacts academic results, including “standardized test” results, the data are outright misleading. Several members of the BEFC rightly raise crucial questions about how we can get to specific measures of the scope and the cost factors for trauma. Follow-up papers will provide details regarding screening measures and cost factors. However, this first report puts the state on the front line of equity for trauma-impacted children. We can choose to start with best estimates and adjust as we go. Conversely, delaying for every detail to be precisely quantified is too costly and too inequitable. A starting point for screening can be as simple as the “ACE score” derived by counselors as part of school registration or re-registration. A wide range of other screening measures is available at the National Child Traumatic Stress Network website. A starting cost-priority in addressing the learning impacts of trauma is training of teachers and staff — the “first responders” who see children every day. Training must be an on-going requirement for all adults in a district, as part of a priority to provide a safe environment, to understand the complexity of teaching trauma-impacted children, and to respond appropriately, including avoiding re-triggering trauma. Training options include the Institute for Family Professionals, a division of Lakeside Education Network in Pennsylvania, and the Sanctuary Institute, a division of Andrus. Other incremental costs will include smaller class-sizes, with limits on the number trauma-impacted children per classroom. Also, dedicated appropriate spaces for children to de-escalate, and on-site counselors, that is district counselors, who build on-going relationships with the children and familiesin the school community. These are all starting points, to be refined as we go. No doubt BEFC research and analysis, coupled with focus, persistence and thoroughness have produced a historic recommendation — a recommendation worthy of equally profound action from each of us. What remains is the immediate priority for the full General Assembly to act formally. We need them to acknowledge the power of childhood trauma by acting to include it in a fair funding formula as per the BEFC recommendation — weighting and costs to be estimated and then refined as we go. The kids are waiting. Please take a moment to write to your own legislators now, whether in Pennsylvania or elsewhere. You can find a sample letter at the bottom of this post on LucidWitness. Daun Kauffman has been teaching in north Philadelphia Public Schools for 15 years. You can follow him at LucidWitness.com. « Can School Heal Children in Pain? Yes, it Can!